Emotion faces for: mad, sad, scared, happy for 3 different cartoon characters. Kelly has an entire page of activity ideas for this packet! Woo hoo! 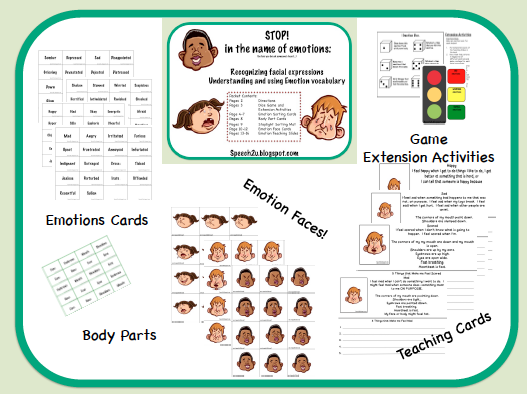 For example, review the different emotion sheets with students, put the emotion cards in container (she suggests Ned's Head, fun!) 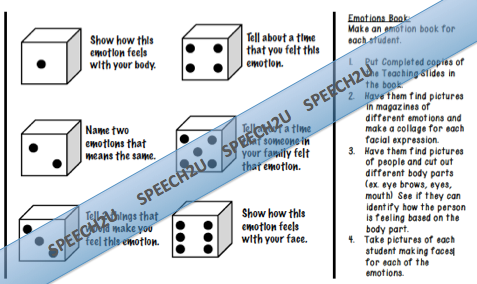 students take turns pulling out an emotion. I love all the different emotions! I feel like I often get stuck using the same basic emotions. Kelly has included 70 cards. 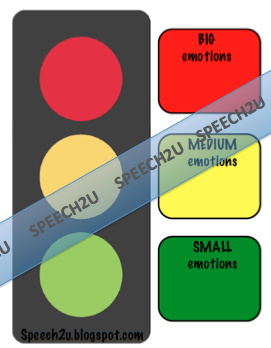 You can really get involved with each different emotion and talking about them as a group. 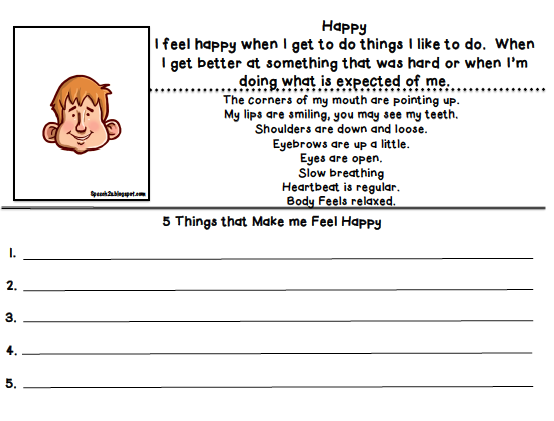 Students then identify each emotion, sort them onto the graphic organizer (included). Also play a dice game! I think my absolute favorite part are the writing pages! She includes a description of what each emotion involves as far as your body parts! Happy = "The corners of my mouth are pointing up" etc. I love her approach to using body parts to explain each emotion. 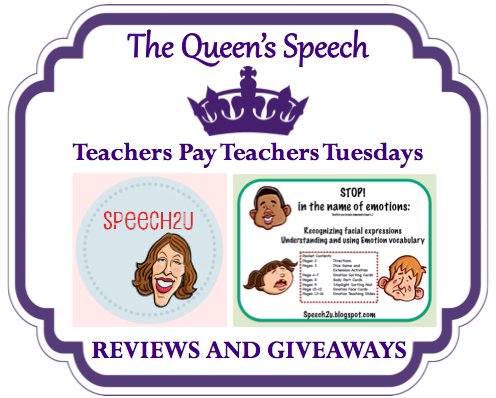 It uses explicit teaching, and for students on Autism Spectrum this would be fantastic! 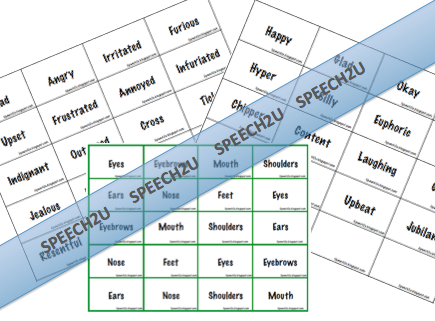 Students can pick an emotion and then take turns picking body parts and explaining what the emotion looks like in each area of the body. This is so important! I also love the reinforcement of the writing page! Then the students can share! I wish I was back at school so I could try this out with my groups! Best part, it's only $4.00! Disclosure Statement: I did receive a complimentary copy of Stoplight Emotions for this review. However, the opinions are my own.